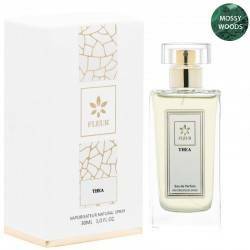 Первоклассные женские духи - "THEA"
Thea Women Perfumes Premium Mossy Woods and Fresh Intensive. “Thea” seduces the crowds and gives you real goddess air. Nothing can resist your passage. Makes the woman who wears it charming and unique with confidence. The petal-soft pink of the juice evokes graceful femininity and fresh beginnings. The development of a signature scent is a long way trip, generally lasting between 6 and 18 months. Each fragrance starts with a dream, inspiration from a real history or moments, an “orchestra theme” which can either take the form of a material base – the mix of two or three raw materials, like an initial note at the whole music project – or of an initial feeling, the desire to translate or convey a specific emotion. From there, the perfumers gradually build a full-scale composition, tinkering and problem-solving until a perfect balance is achieved.